Life in Sofia, Bulgaria, in the late 1980s is bleak and controlled. The oppressive Communist regime bears down on all aspects of people’s lives much like the granite sky overhead. In the crumbling old building that hosts the Sofia Music School for the Gifted, inflexible and unsentimental apparatchiks drill the students like soldiers—as if the music they are teaching did not have the power to set these young souls on fire. Fifteen-year-old Konstantin is a brash, brilliant pianist of exceptional sensitivity, struggling toward adulthood in a society where honest expression often comes at a terrible cost. Confined to the Music School for most of each day and a good part of the night, Konstantin exults in his small rebellions—smoking, drinking, and mocking Party pomp and cant at every opportunity. Intelligent and arrogant, funny and despairing, compassionate and cruel, he is driven simultaneously by a desire to be the best and an almost irresistible urge to fail. His isolation, buttressed by the grim conventions of a loveless society, prevents him from getting close to the mercurial violin virtuoso Irina, but also from understanding himself. Through it all, Konstantin plays the piano with inflamed passion: he is transported by unparalleled explorations of Chopin, Debussy, and Bach, even as he is cursed by his teachers’ numbing efforts at mind control. Each challenging piano piece takes on a life of its own, engendering exquisite new revelations. A refuge from a reality Konstantin detests, the piano is also what tethers him to it. Yet if he can only truly master this grandest of instruments—as well as his own self-destructive urges—it might just secure his passage out of this broken country. Nikolai Grozni—himself a native of Bulgaria and a world-class pianist in his youth—sets this electrifying portrait of adolescent longing and anxiety against a backdrop of tumultuous, historic world events. Hypnotic and headlong, Wunderkind gives us a stunningly urgent, acutely observed, and wonderfully tragicomic glimpse behind the Iron Curtain at the very end of the Cold War, reminding us of the sometimes life-saving grace of great music. This reading group guide for Wunderkind includes an introduction, discussion questions, ideas for enhancing your book club, and a Q&A with author Nikolai Grozni. The suggested questions are intended to help your reading group find new and interesting angles and topics for your discussion. We hope that these ideas will enrich your conversation and increase your enjoyment of the book. Brash, brilliant fifteen-year-old Konstantin is teetering on the brink of self-destruction. He is a world-class pianist of exceptional sensitivity, but his propulsive rage at Soviet oppression threatens his career and his sanity. He is graced by the beauty and freedom of Chopin, Debussy, and Bach, but he is cursed by the numbing mind controls of the apparatchiks at Sofia’s Music School for the Gifted. Konstantin is a classic bad boy: drinking and smoking throughout the school day, eluding the Communist Party’s pomp and ceremony, and pining for Irina, a smoldering violinist who races Konstantin down the path of self-annihilation. The piano is both his refuge and his tether to a world he cannot abide—if he can avoid getting kicked out of school, the piano could also be his ticket out of Bulgaria. But who can concentrate on Chopin when there are so many practical jokes to play and so many ways to seduce Irina? Konstantin’s music teachers cannot save him from himself. When the Iron Curtain falls, Konstantin faces a life without meaningless authority, without Irina, and perhaps without the piano. 1. What are your impressions of Konstantin as a narrator? How would you describe his unique voice? Are his struggles against authority typical of teenage angst or specific to his life in Bulgaria? 2. According to Konstantin, “I’d learned more about playing the piano from walking the streets of Sofia than from practicing ten hours a day.” (p. 284) What does Sofia look like in the late 1980s? What lessons does Konstantin learn on the streets of Sofia that his music education cannot teach him? 3. Consider the past and present of the Music School for the Gifted. How has the building been transformed from a Catholic monastery to a “communist temple” of music? (p. 9) How does the architecture of the school—from classrooms and concert halls to secret attic rooms—reflect the power struggles between the teachers and the students? 4. Compare Konstantin’s two love interests, Irina and Bianka. How do they differ as musicians? What attracts Konstantin to each girl, and why can’t he have a meaningful romance with either one? 5. What role does Konstantin’s piano teacher, “Ladybug,” play in his education, both in and out of the classroom? How does Ladybug balance her personal life and her professional life? Why does she still promise to help Konstantin, even after his expulsion from the Music School for the Gifted? Why can’t she give up on her problematic student? 6. Discuss the enigmatic character of Uncle Iliya, “a man without laugh lines, a man who never asked any questions.” (p. 92) How does Iliya’s tragic past reflect the troubled history of his country? What lessons does Konstantin learn from Iliya? 7. Konstantin thinks, “Perhaps the difference between me and the other kids in school was that I knew for a fact that we were all imprisoned in a counterfeit reality. I had peeked over the wall and seen what lay beyond.” (p. 20-21) What proof does Konstantin have of a reality beyond the school? Why do his classmates and teachers buy into the “counterfeit reality” he sees through? Do you think Konstantin is wise beyond his teenage years? 8. According to Konstantin, “My parents were puppets of the first order, their sole purpose in life to ensure that I, too, grew up respecting the pull of the strings.” (p. 194) Consider the novel’s one glimpse of Konstantin’s family life: his father’s visit to the school. What disagreements between father and son become clear in this confrontation? Are Konstantin’s parents the “puppets” he perceives them to be? Why or why not? 9. Consider the three students who are expelled from the Music School for the Gifted: Vadim, Irina, and Konstantin. Why is each student kicked out of school, and how does each react? What is the relationship between crime and punishment at the school? 10. Considering how little he knows about Irina, Konstantin realizes, “Perhaps our interior life was the only space that hadn’t yet been nationalized and so we guarded it maniacally, shielding it even from our lovers’ eyes.” (p. 214) What has Konstantin failed to see about Irina’s life? How does Konstantin, in turn, shield himself from intimacy with Irina? Does Irina know more about Konstantin, judging by the way she treats him? 11. Wunderkind contains one flashback: Konstantin’s trip to Salerno, Italy to win a competition over Isabella, who practices tirelessly on a paper piano. What revelation does Konstantin have on this trip? How does this scene provide a better idea of his temperament and talent as a musician? 12. At the Chopin competition, Konstantin’s goal is “To play Chopin as it should be played, honestly, suicidally, with terminal disappointment and a complete absence of ambition; with aristocratic tact and chivalry, with selfless piety, with the most profound knowledge of beauty and of the transience of the senses.” (p. 270-271) Does Konstantin meet his objective? Why doesn’t he win the competition? 13. “Irina wasn’t crazy. She was the most normal person in the whole world. That’s why they’d locked her up—because she reminded them that they were the insane ones.” (p. 307) Is Irina sane or insane when she commits suicide? Explain your answer. 14. Consider the final chapter of Wunderkind, which takes place after the Berlin Wall comes down. What changes to Sofia does Konstantin witness after this defining moment of history? What is the significance of his final act of the novel—returning Irina’s violin to her family? What possibilities does Konstantin’s future seem to hold? 1. Treat your book club to some traditional Bulgarian fare! Find tasty recipes, from a colorful shopska salad to a rich and flaky banitsa, here: http://www.findbgfood.com/bgmeals.htm. 2. Make a classical music soundtrack for your book club meeting. You can get inspired to discuss Wunderkind by listening to Chopin’s scherzos, etudes, or nocturnes. Visit your local music store to purchase a CD, or download MP3 audio files at www.itunes.com or www.amazon.com. To really get the classical music experience, organize a trip with your book club to a classical music concert. Check your local event listings and show support for your town’s talented musicians! 3. Invite your book club over for a political movie night. Good Bye, Lenin! is a comedy about the Berlin Wall’s impact on a young man’s life. Or, if you’re in the mood for an epic drama, Reds offers a different view of communist revolution in Russia. 4. Take a virtual trip to Bulgaria! You can learn all about the country’s landmarks and culture, and view photos of Sofia’s top attractions, by visiting the country’s tourism website: http://www.bulgariatravel.org/eng/index.php. 5. 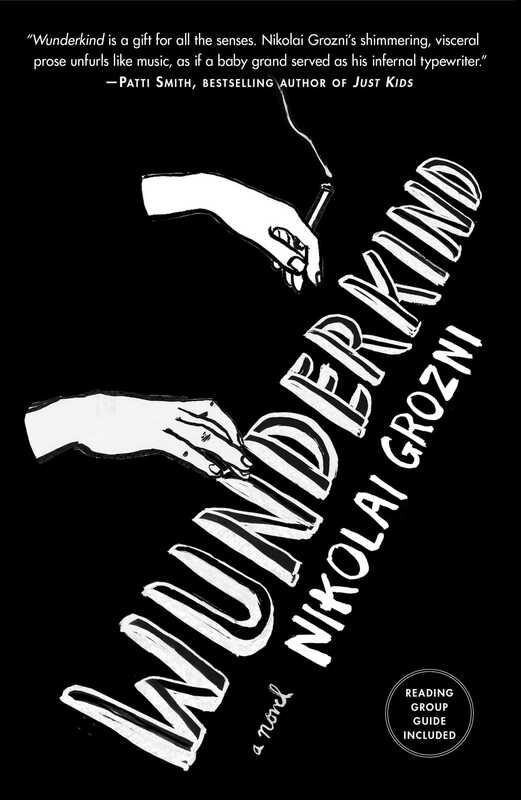 Nikolai Grozni has created a playlist for Wunderkind comprised of songs that relate to the book. Listen to these recordings with your book group or collect them to enhance your own reading experience. Chopin: Préludes, Op. 28 - #2 In A Minor ? Chopin: Preludes, Op. 28 Ivo Pogorelich 1990 2:10?? Chopin: Scherzo #1 In B Minor, Op. 20 ? Ivo Pogorelich Chopin: Scherzi 1998 11:03? Chopin: Etude #1 In C, Op. 10 ? Murray Perahia Chopin: Etudes, Op. 10 & 25 2001 1:59?? No.2 in C sharp minor ? Franz Liszt Liszt - 10 Hungarian Rhapsodies, S.244 1975 9:16?? Brahms: Intermezzo In E Flat, Op. 117/1 ? Glenn Gould Brahms: Ballades, Rhapsodies, Intermezzi [Disc 2] 1993 5:34?? Chopin: Etude #6 In E Flat, Op. 10 ? Murray Perahia Chopin: Etudes, Op. 10 & 25 2001 2:26?? Sonate pour piano nº2 en si bémol mineur "Funèbre" - Op.35 - Scherzo ? Georges Cziffra Frédéric Chopin - Œuvres pour piano 1973 6:26?? Chopin: Ballade For Piano #2 In F, Op. 38, CT 3 ? Chopin: Four Ballades, Barcarolle, Fantasie In F Krystian Zimerman 1988 7:49?? Glenn Gould, Jaime Laredo 55,2-Bach: Sonatas for Violin & Harpsichord, Nos.4-6 1975 5:03? Glenn Gould, Jaime Laredo 55,2-Bach: Sonatas for Violin & Harpsichord, Nos.4-6 1975 3:22?? Glenn Gould, Jaime Laredo 55,2-Bach: Sonatas for Violin & Harpsichord, Nos.4-6 1975 3:21?? Ivo Pogorelich Chopin: Scherzi 1998 8:08?? Polonaise en la bémol majeur, Op. 53 "Héroïque" ? Georges Cziffra Frédéric Chopin - Œuvres pour piano 6:55 ?? Piano Sonata No. 23 in F minor ('Appassionata') Op. 57: Allegro assai ?Ludwig van Beethoven Brahms: Concerto No.2/Beethoven: Sonata No.23 1961 10:45?? Piano Sonata No.21 in C, Op.53, "Waldstein," 1. Allegro con brio ? Maurizio Pollini Beethoven: Piano Sonatas No. 17 (The Tempest), No. 21 (Waldstein), No. 25 & No. 26 (Les Adieux) 1989 9:59?? Sonata No.1 in B minor, BWV 1014: I. Adagio ? Glenn Gould 55,1-Bach: Sonatas for Violin & Harpsichord, Nos.1-3 1975 5:52?? Sonata No.1 in B minor, BWV 1014: II. Allegro Glenn Gould 55,1-Bach: Sonatas for Violin & Harpsichord, Nos.1-3 1975 3:16?? Sonata No.1 in B minor, BWV 1014: III. Andante Glenn Gould 55,1-Bach: Sonatas for Violin & Harpsichord, Nos.1-3 1975 3:16?? Chopin: Grande Valse Brillante In A Flat, Op. 34/1 ?Chopin/Evgeny Kissin The Chopin Collection 1995 4:57?? Chopin: Etude #1 In A Flat, Op. 25 ?Murray Perahia Chopin: Etudes, Op. 10 & 25 2001 2:15? ?Chopin: Etude #6 In G Sharp Minor, Op. 25 ?Murray Perahia Chopin: Etudes, Op. 10 & 25 2001 1:55? ?Fantaisie-Impromptu en ut dièse mineur, Op. 66 ?Georges Cziffra Frédéric Chopin - Œuvres pour piano 5:03 ?? op. 56, No. 1 in B major: Allegro non tanto ? Frederic Chopin Chopin Mazurkas 2 1992 4:54?? Georges Cziffra Frédéric Chopin - Œuvres pour piano 1973 8:53?? Georges Cziffra Frédéric Chopin - Œuvres pour piano 1973 5:36?? Brahms: 4 Ballades, Op. 10 - 2. Andante, Allegro Non Troppo ? Glenn Gould Brahms: Ballades, Rhapsodies 1983 8:34?? Glenn Gould, Jaime Laredo 55,2-Bach: Sonatas for Violin & Harpsichord, Nos.4-6 1976 5:33?? Mussorgsky: Pictures At An Exhibition - 15. The Hut On Fowls' Legs ? Ivo Pogorelich Mussorgsky: Pictures At An Exhibition; Ravel: Valses Nobles Et Sentimentales 1997 4:10?? Mussorgsky: Pictures At An Exhibition - 13. The Catacombs ? Ivo Pogorelich Mussorgsky: Pictures At An Exhibition; Ravel: Valses Nobles Et Sentimentales 1997 2:18?? Chopin: Etude #12 In C Minor, Op. 25 ? Murray Perahia Chopin: Etudes, Op. 10 & 25 2001 2:37? Your previous book, Turtle Feet, was a memoir. 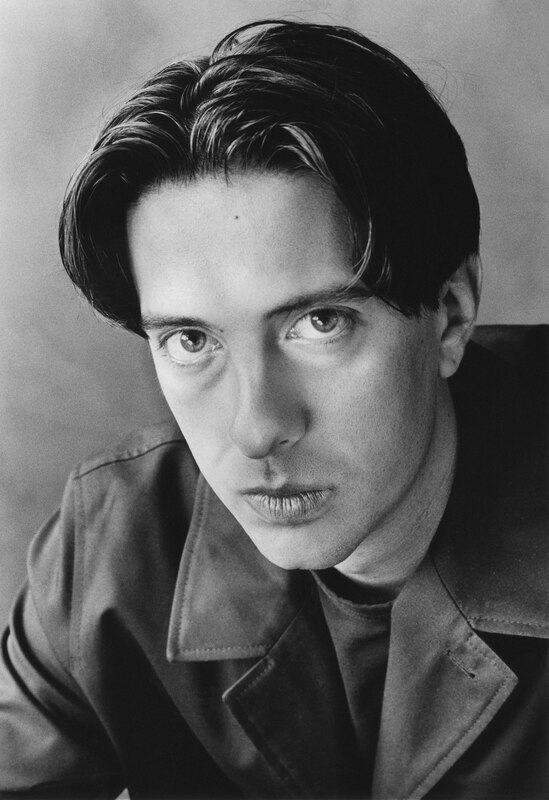 How was the experience of writing Wunderkind different from writing the memoir? Many of the characters in Wunderkind are modeled after actual people, so I never felt like I had to invent people and story lines from scratch, the way some novelists do. Yet Wunderkind is very much a novel, as my concern was primarily with telling a story that has a beginning, middle, and end, and that serves to magnify the ideas preoccupying the main character. Wunderkind is largely based on your own adolescence as a music prodigy in Sofia. What is one major difference between you and your character, Konstantin? The main difference, I think, is that my parents have always supported me in my adventures and rebellions. Konstantin, on the other hand, is more like an orphan in a loveless society. Although Wunderkind features plenty of adolescent angst, it is also a unique story of coming of age under the communist regime. What aspects of the novel do you think readers will be able to relate to, and what was distinctive about growing up in 1980s Sofia? Inasmuch as adolescence is about discovering one’s identity, all young people have their share of the euphoria and self-destructiveness that come with testing one’s free will. At the same time, I think that one could also speak of a “failed adolescence”, in the sense that in an ideologically oppressive environment—such as Sofia in the 1980’s—young people are ostracized and punished for thinking and speaking freely, and as a result many of them never succeed in forging healthy identities and end up suffering from depression, PTSD, substance abuse, and apathy for many years. The novel features lyrical passages that evoke the beauty and depth of classical music. Was it a challenge to depict a musical experience in words? Music comes from a place that is beyond words, so writing about music is, in some sense, like trying to represent space with a sculpture. Yet it is every writer’s ambition to invent ways to describe each sensation, no matter how subtle and immediate. One way of describing something like music, which is only made more distant by words, is to describe instead the things that are associated with it. That’s why in Wunderkind I’ve tried to supplement the technical description of each piece by evoking colors, smells, and memories, while at the same time creating a kind of rhythm in my sentences, to mimic the flow of the music in the background. You’ve dedicated Wunderkind “For Iliya.” Please tell us about the real Iliya—how is he similar or different from the character in the novel? Iliya was one of the most important people in my life. From the very first day he walked into our apartment in Sofia when I was only nine, and my parents introduced him as my relative and new English teacher, I knew he was different. Slowly, as years went by and my English got to a level where I was able to converse with him freely on any topic of his choosing, he opened up to me and began telling me all about his life. Ours was a relationship of secrets and encrypted communications. We would walk the streets together and discuss everything around us in English, so that no one could understand what we were talking about. All the stories told by Iliya in Wunderkind are stories I’ve heard from him. He really used to be one of the translators at the American Embassy in Sofia before the communist coup of 1944. He spent thirty years in concentration camps as a political prisoner. But there are so many other stories I haven’t written about. For example, when he was first interrogated and tortured by the communists, he was forced to sign an affidavit, stating that he’s never been married to his wife and that his daughter isn’t his. One of the generals involved in his arrest later ended up marrying Iliya’s wife and bringing up his daughter. Iliya always thought that the general had sent him to the camps so that he could steal his life. That episode has always struck me as incredibly cruel and tragic, and I hope that one day, if I manage to obtain Iliya’s dossier from the Bulgarian Intelligence Service, I would be able to write more about it. In the meantime, Wunderkind is my humble tribute to his stoicism, bravery, wisdom, and kindness. This is an active year for political revolution, particularly in the Middle East. What parallels do you see between today’s headlines and your experience of revolution and reform in Sofia? When the Berlin wall fell down in 1989, I was on the streets, fighting with the police and helping other students turn schools and universities into centers of resistance. Watching the pro-democratic protests sweeping the Middle East today reminds me of the time during my adolescence when the fight for dignity seemed more important than survival. But I also remember the sadness and disappointment that followed the circus of the first democratic elections and the realization that old power structures don’t die easily. As Iliya cautioned me in 1989, cataclysms often breed false prophets. Readers seem increasingly interested in books with Soviet and communist settings. Why do you think literature about life behind the Iron Curtain is coming into vogue? In historical terms, the end of the Cold War is a very recent event, and people in the East and the West are only beginning to come to terms with the horrors and atrocities that took place in the countries from the former Soviet block. The mummy of Lenin is yet to be buried. The documents that shed light into the workings of the Soviet security apparatus are yet to be released. Millions of people in Eastern Europe and Russia still live in complete denial of the crimes and oppression that marked forty-five years of communism. I suspect that in the coming decades the voices of those who are trying to counter the widespread apathy and amnesia which often mask past traumas, will only become louder. With his imaginative, anti-authoritarian voice, Konstantin is a memorable narrator. Who are some of your favorite teenage heroes from books you’ve loved? Holden Caulfield, but also Zooey Glass and his sister Franny from Franny and Zooey, together with their elder brothers Seymour and Buddy. Konstantin says of Irina, “Without her violin, she might as well be dead!” (p. 318) Is there anything so important in your life that you might as well be dead without it? There are many things I’ve felt like I can’t live without—my piano, being one of them. But I’ve worked for a long time to steer myself away from such fatalistic notions. One of the reasons why I gave up playing piano and went to live in India was because I felt that my obsession with practicing for many hours was preventing me from exploring life and the world around me. Have you been back to Sofia since you left your native city? What do the streets and gardens of Sofia look like today, compared to the years chronicled in Wunderkind? I’ve been back many times, ostensibly to walk down the streets mentioned in Wunderkind. In 2008, while I was still working on the novel, I flew into Sofia and went to see the music school which I had attended as a kid and which I describe in great detail in the book. To my surprise, I found that the school had been returned to its previous owner, the Catholic Church. The doorman let me explore the building which looked as if a powerful bomb had exploded inside it—walls had been torn down, windows broken, the ceiling had collapsed on the floor, the bathrooms were filled with heaps of bricks, the concert hall was gutted and overtaken by giant spider webs. It felt very eerie and cathartic for me to return to this much hated and much loved building after so many years and find myself alone among the debris and detritus of a time which had been cast so violently and suddenly, together with its pomp and seriousness, into the past. Who is your favorite composer today, and what kinds of music do you currently listen to or play? Chopin has always been my hero, and I still play the etudes, the ballads, the scherzos, the preludes. Lately I’ve been exploring a lot of Baroque music, and in particular the works of Biber and Uccellini. Wunderkind ends just after the Berlin Wall falls, as authority structures topple on the streets and in the classrooms. Will you write about the next part of your life in another book? What other projects can your readers look forward to? In my writing I tend to borrow heavily from personal experience, and the period of my life following the end of the Cold War has always been something I’ve wanted to write about. I’ve taken lots of notes. Hopefully, one day I will be able to turn them into a novel. Nikolai Grozni began training as a classical pianist at age four, and won his first major award in Salerno, Italy, at the age of ten. Grozni's acclaimed memoir Turtle Feet follows his four years spent as a Buddhist monk studying at the Institute of Tibetan Dialectics in Dharamsala, and later at a monastery in South India. Grozni holds an MFA in creative writing from Brown University. He lives with his wife and their children in France.